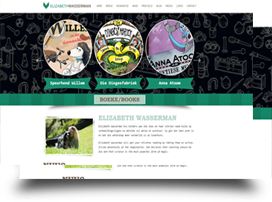 Custom WordPress theme for talented children’s book author Elizabeth Wasserman. Lovely client to work with and her creative range of books include the very popular “Speurhond Willem” series for children. Everything on the website was designed and built by me.